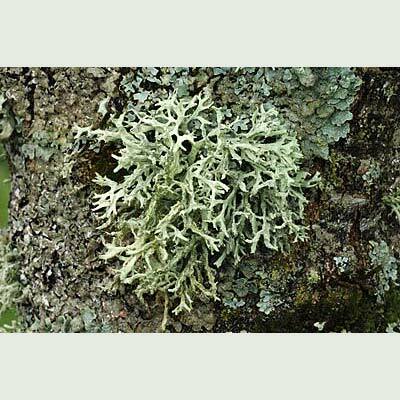 Known as ‘oak moss’ and widely harvested on the continent for use in the perfume industry, this familiar lichen forms yellow-green to grey, ragged, hanging tufts about the length of a little finger. The antler-shaped branches are flattened, strap-like and white below. 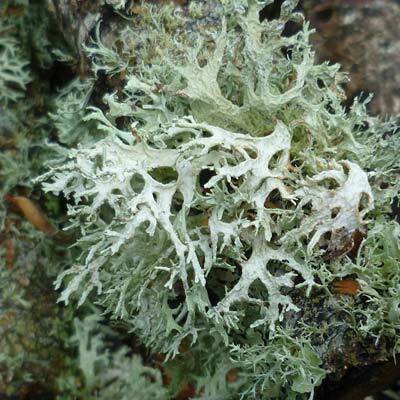 Mature lobes are edged with spots of powdery-white soredia (a mixture of fungal hyphae and algae). The whole plant is anchored by a holdfast-like sheath. Frequent on acid-barked trees and old wooden fencing; rare on rocks. 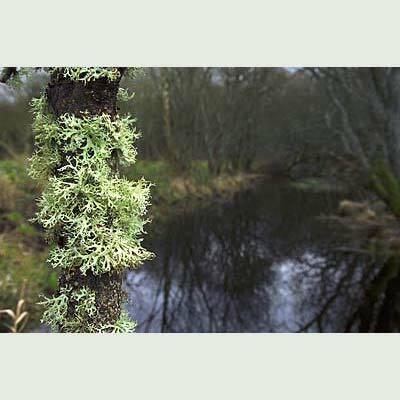 The broadly flattened branches form hanging tufts. Simms, M. J., (2016). 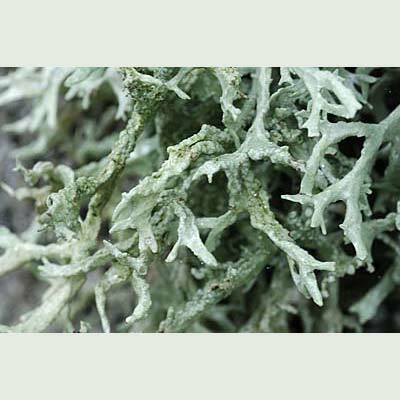 Evernia prunastri (L.) Ach.. [In] LichenIreland.